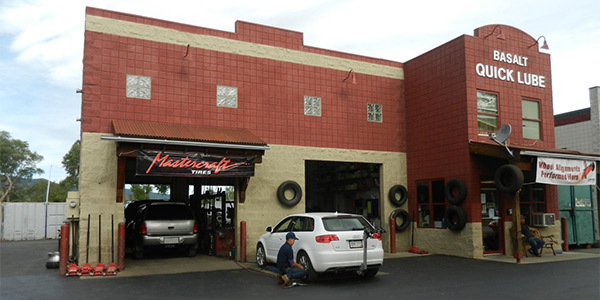 Basalt Quick Lube and Tire is a full service auto repair shop that offers brake service, oil changes, tires and more for both foreign and domestic makes and models. With over 40 years’ experience, we have the knowledge and expertise necessary to do the job right the first time. For drivers in the Roaring Fork Valley, having a dependable and knowledgeable mechanic they can trust with all of their auto repair needs is an essential part of vehicle ownership. That’s why, since 2001, so many have turned to Basalt Quick Lube and Tire when they’re in the market for affordable auto repairs. Boasting more than 40 combined years of industry experience, the team at Basalt Quick Lube and Tire is committed to providing quality auto repair in Basalt, CO for every customer, and dedicated to ensuring that every job is done right the first time, regardless of its scale or complexity. We’ve been a locally owned and operated auto repair shop in Basalt since 2001. We offer a full range of automotive repair services for all makes and models. Our team has over 40 years of auto mechanical experience. We sell all major brands of tires and use only the finest equipment. We’re committed to offering our services at affordable rates.